Representative Hearcel Craig brings his strong background of public service to the Statehouse after being first elected to serve constituents of the 26th House District in November 2014. Craig’s commitment to the residents of Columbus began decades ago when he worked as legislative liaison for the Ohio Department of Youth Services. During his tenure at ODYS, Craig drafted legislation and secured legislative sponsorship for bills introduced in the Ohio General Assembly, including H.B. 812, which secured $83 million for much needed capital improvements to ODYS facilities. Craig continued his work with young people when he served as director of recruitment & admissions for City Year, a program that recruits young adults to work full-time for one year on various social service projects around Columbus. In return, City Year corps members receive valuable training and leadership skills that benefit them later in their professional lives. As former executive director of the Hilltop Civic Council, he managed a comprehensive social service agency that served 10,000 people annually in one of Columbus’ historic neighborhoods. Directing the Hilltop Civic Council’s 35-person staff and administering its $1.2 million annual budget, Craig supervised programs for a comprehensive community health care center, youth and senior services, a resettlement center for new Americans, and a food and clothing pantry. As a recent Columbus City Councilman, Craig led the city’s Veterans Affairs Committee to help meet the needs of veterans, service personnel, and their families. He has worked to connect veterans with existing services and resources in the community and created new initiatives like the Better Municipal Care for Veterans Home Fund, which helps veterans and their families make needed repairs to their homes. Craig was also a strong advocate for public recreation centers, so children, families and seniors can access a wide range of programs and services to enhance their quality of life. During the past three decades, Craig has volunteered his time as a trustee on numerous community service boards, many focused on education. He has served as a member of the Columbus Public Schools Equity Task Force, the Columbus State Community College Department of Business and Industry Technology Curriculum Committee, the Southside Learning and Development Center’s Board of Trustees, the Ohio Hunger Task Force Board of Trustees, and the Columbus Cultural Arts Center Board of Trustees. He is currently serving on the board of Military Veterans Resource Center. 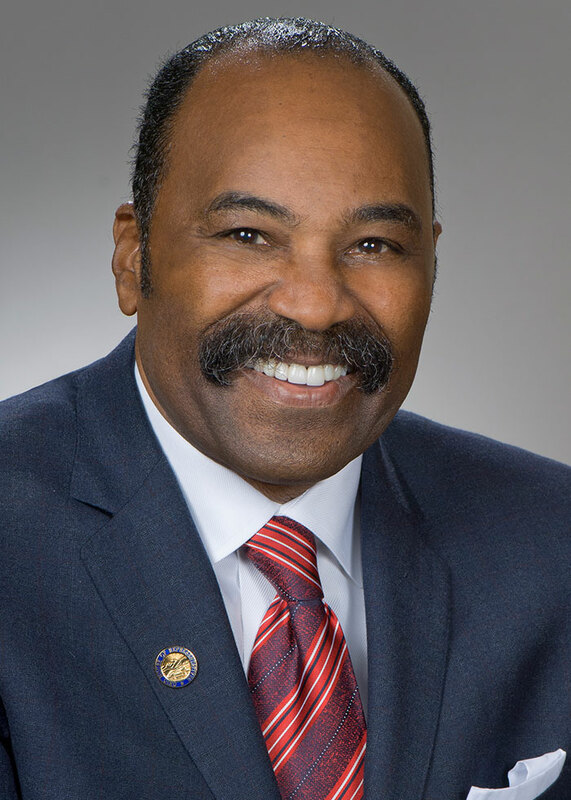 Craig also served as board chair for the Alliance for Cooperative Justice, board chair for the Franklin County Prevention Institute, and chair of the State Education Committee for the Columbus Chapter of the NAACP. Craig was named the 2011 Public Servant of the Year by Community Shares of Mid-Ohio. Representative Craig earned a Master of Science in Administration degree from Central Michigan University and was a Join Together National Leadership Fellow at Boston University School of Public Health. He proudly served our nation in the United States Army from 1970-1972. Representative Craig is eager to use his public service experience to gain meaningful investments for our neighborhoods to create jobs and expand the local economy. His experiences earned him the position of Ranking Member of the House Armed Services, Veterans Affairs and Homeland Security Committee. Presently, Representative Craig serves on the Aging and Long Term Care Committee, the Financial Institutions, Housing, and Urban Development Committee, and the Public Utilities Committee. In addition to serving on the aforementioned standing House committees, Representative Craig previously served on the House Economic and Workforce Development Committee. Craig has been appointed to the Ohio Infant Mortality Commission, the Ohio Criminal Sentencing Commission, The Ohio Commission on Fatherhood, the Ohio Constitutional Modernization Commission, the Criminal Sentencing Commission Subcommittee on Juvenile Justice and the BRAC and Military Affairs Task Force.